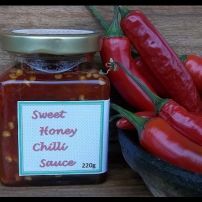 commented on "Sweet Honey Chilli Sauce 220g"
OUT OF STOCK! Made using honey! 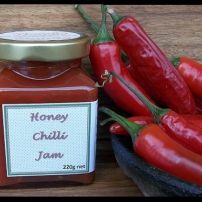 commented on "Honey Chilli Jam 220g"
OUT OF STOCK! Great on antipasto platters. 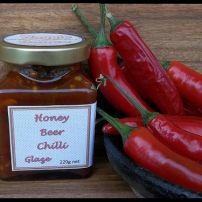 commented on "Honey Beer Chilli Glaze"
OUT OF STOCK! Delicious finishing sauce. 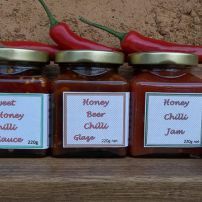 commented on "Honey & Chilli Trio"
OUT OF STOCK! Delightful trio made using honey.